A government agency is under fire over its use of dogs in some controversial experiments. The Department of Veterans Affairs currently has nine studies involving dogs occurring at four of its facilities. The tests have been opposed by a bipartisan set of lawmakers and several veterans’ groups. Robert Wilkie, the new secretary of the Department of Veterans Affairs has vowed to continue the experiments, saying that they could potentially lead to medical breakthroughs that could help veterans. It is hoped that the research will provide solutions for veterans and others suffering from cardiac issues and spinal cord damage. Wilkie said, “I am going to do everything possible to make sure our veterans come first.” He was sworn in July 30 to replace his predecessor, David Shulkin. The studies involve surgeries on dogs’ hearts, brains and spinal cords. Experiments have been conducted on dogs as young as 6 months. The dogs are euthanized at the end of the studies. According to a statement from Wilkie, the VA currently has 92 dogs involved in the controversial experiments. 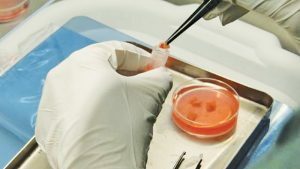 The White Coat Waste Project, an anti-testing organization, has called for a suspension of the controversial experiments. The organization wants the experiments halted until the National Academy of Sciences finishes a study evaluating the need for dogs as research subjects. The study is not due to be finished until 2020. The White Coat Waste Project first drew attention to the testing in early 2017. In March, strict restrictions on the VA dog research was passed by Congress and signed into law by President Donald Trump. The restrictions require any canine testing be “directly approved” by the secretary to receive agency funding. The legislation also includes a provision barring the department from using dogs in any experiment unless the specific objectives can only be met through canine testing. The legislation was sparked by reports that researchers had made serious mistakes during surgeries on dogs at the VA facility in Richmond, Virginia last year.